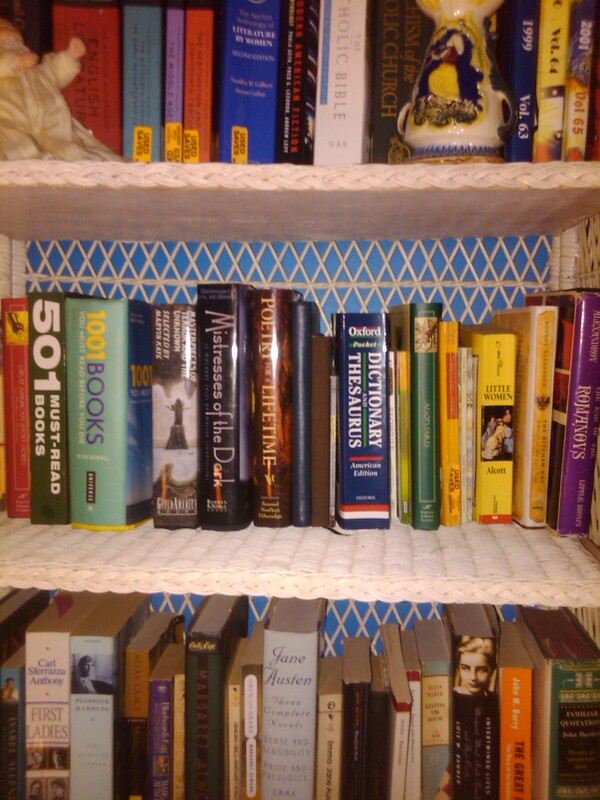 Bolded titles are books I have actually read. Common Sense, by Glenn Beck. The Mystery of Olga Checkhova, by Anthony Beevor. Song of Lawina & Song of Ocol, by Okot P’Bitek–this one should actually be under P. Oh well! Incidents in the Life of a Slave Girl, by Linda Brent. If you haven’t read this one, you should!! The Jade Cat, by Suzanne Brøgger. Just reviewed this one on Tuesday! World War Z, by Max Brooks. Belongs to my boyfriend! Helter Skelter, by Vincent Bugliosi. One of my favorite books ever! First off, Happy Thanksgiving everyone! We are still in the As. 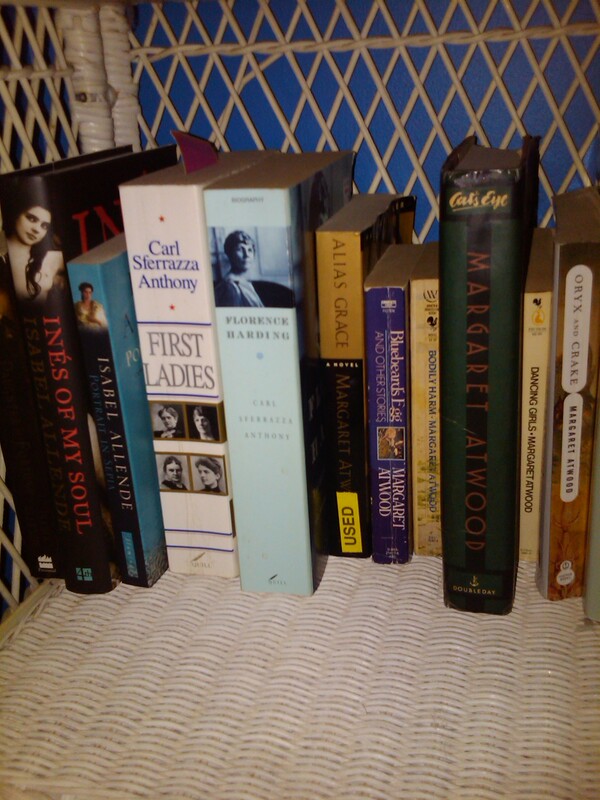 As always, the titles bolded are titles I have read. When possible, I have provided a link to each title on Amazon. 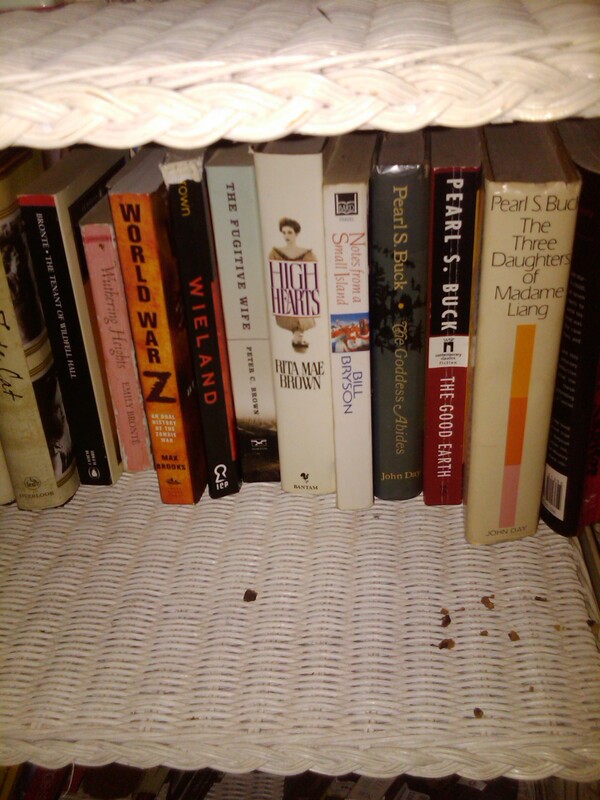 Portrait in Sepia, Isabel Allende–Yes, your eyes do not deceive you. I have not read a single Allende book! Anyone have any suggestions about which one I should start with? 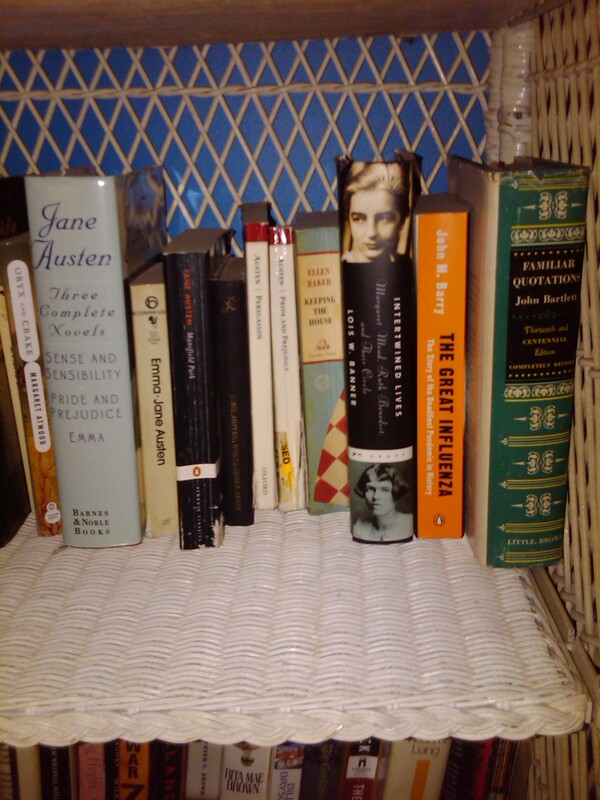 Jane Austen: Sense and Sensibility, Pride and Prejudice, Emma–I have read all three of these but I ended up buying single copies of all three. It is impossible to comfortably read such an unwieldy book! Mansfield Park, Jane Austen–my second favorite Austen book! Keeping the House, Ellen Baker–this was the pick for my book club one month. It was ok, but not something I would have read on my own. Bartlett’s Familiar Quotations, John Bartlett–this is another one of the books that originally belonged to my grandfather. It’s pretty cool! 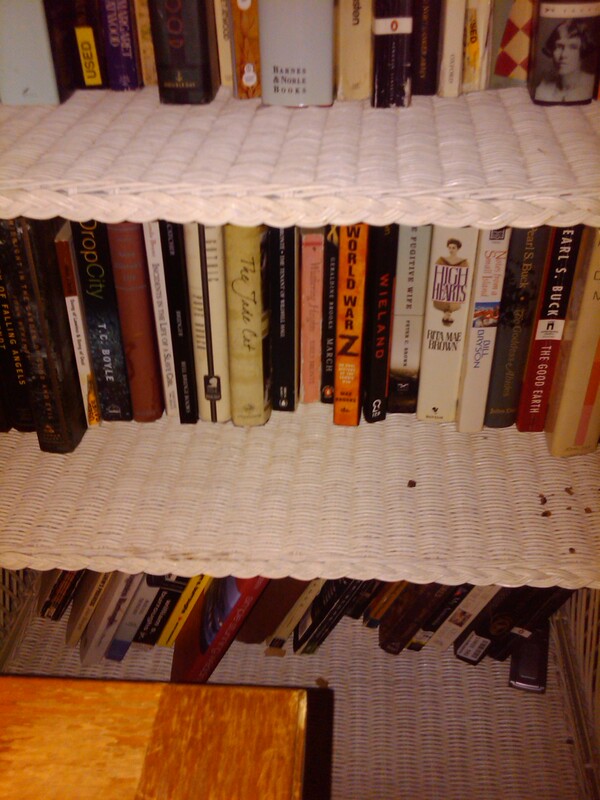 The first half of this shelf is still reference books, anthologies, etc. Then we move on to the core of my book collection. -The first book, of which ou can only see the bottom, is a collection of family history written by my great-great grandmother. I decided to do a new weekly feature on my blog. It’s just for my own gratification, but if anyone feels like joinung in, feel free. 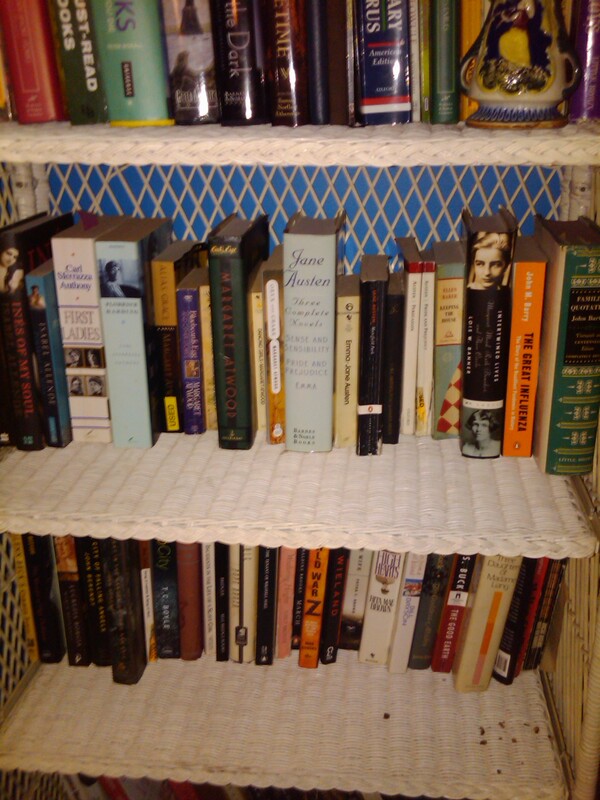 The thing is, I have a lot of bookshelves. So many so that it is not uncommon for me to be looking at my shelves and discover a whole bunch of books I didn’t remember I had. There have even been times where I find a book I swear I have never seen or heard of in my life! 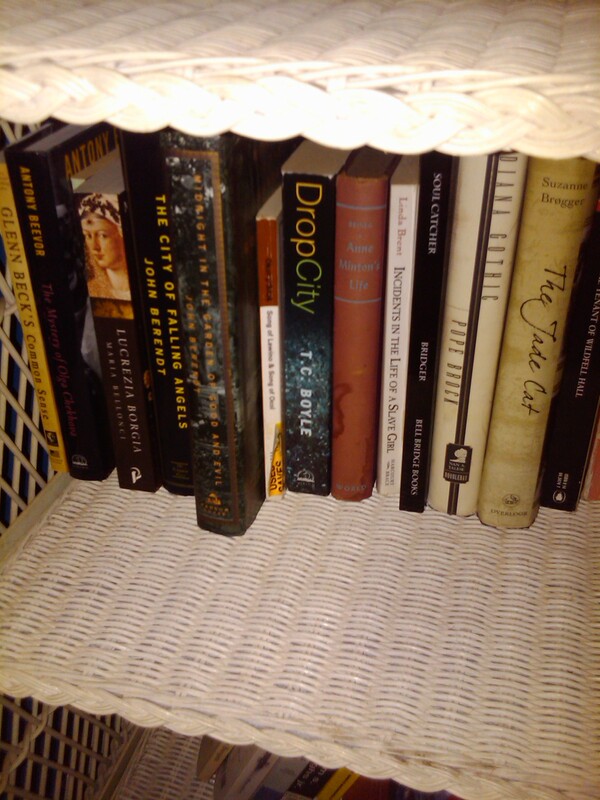 So once a week (hopefully I will be able to stay with Thursdays) I will post pictures of ONE shelf in my library, list the books, talk about them, etc. etc. –Good Fiction Guide, by Jane Rogers, Hermione Lee, Mike Harris, and Douglas Houston *I love books like this when I want new ideas for what to read. 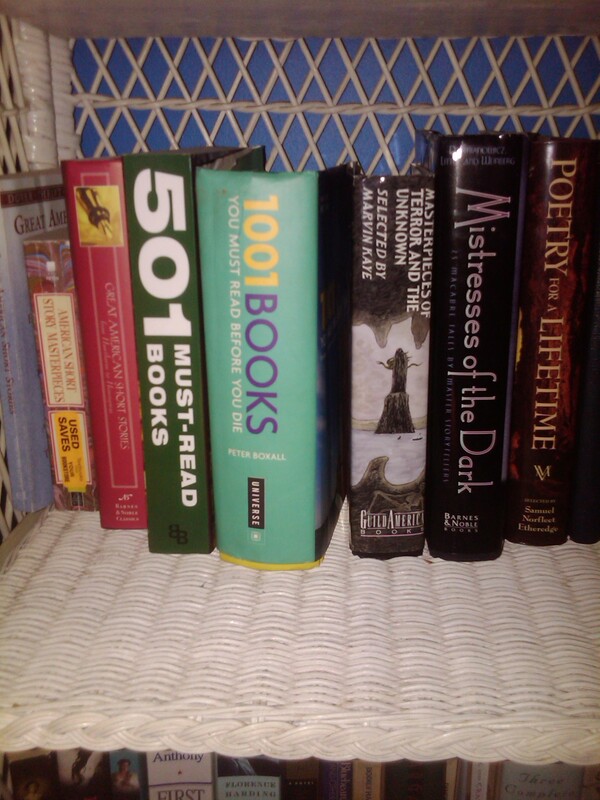 Admittedly, I rarely use them since my TBR piles are ridiculous! 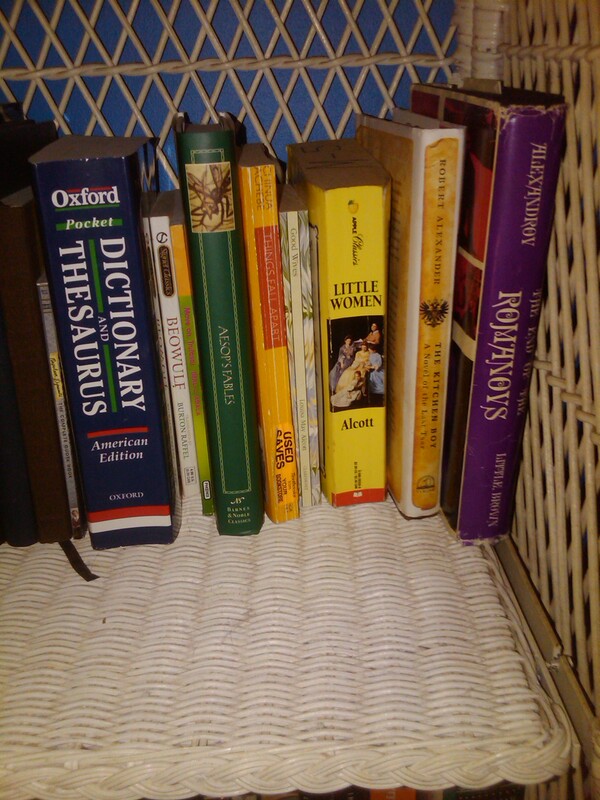 -Norton Anthologies–these were all from college. I probably had double what I have no but I sold some back. I wish now that I had kept them all! English Literature, Volume C: The Restoration and the Eighteenth Century *No Volume B . . . no clue where it went. An Outline of American History *This is a very old book that was originally from my grandfather’s library. And then you can see the first of my HS yearbooks, the rest of which I cut out because they’re not really the focus of my shelves. After completing this little exercise, I am certain that you can learn a lot about someone just by looking at their bookshelves!